There hade been a mistake and Johans name had been sent out for both missions. So the gift that arrived yesterday was actually mine. 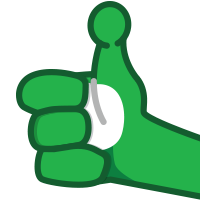 Anyway, mistakes happen, so Johan and I sort of switching- that way I get to open a gift to! I received a gift:﻿﻿﻿﻿﻿ April 03, 2019 Thanks Candice Costi for the mission . 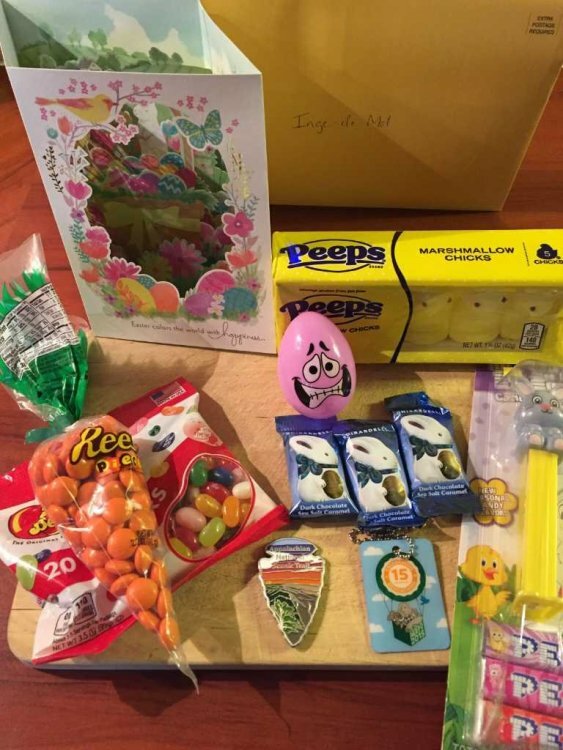 I received a gift:﻿﻿﻿﻿﻿﻿ April 09, 2019 Thanks Peter for this Easter mission. 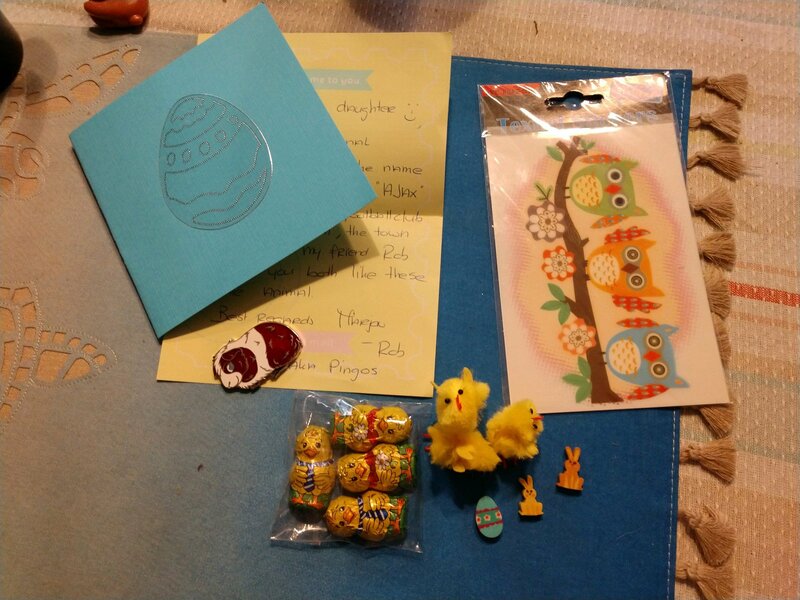 6 April I got a mailer and it is not my Eastern mission but a surprise from my great, happy, Cool, lovely friend Claire I will wait until Eastern Claire with open the mailer. 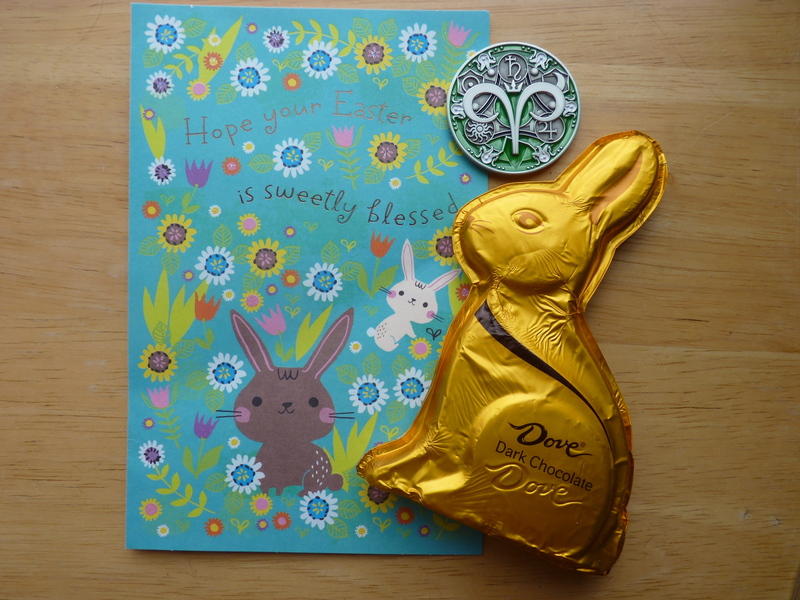 I received a wonderful Easter Mission from Hedwig & Peter a wonderful Dutch geocoin, wooden nickel and Easter Celebration hanger. Thanks so much! I received a gift: 3-28-19 I sent my first mission out so I opened up the first one I received. 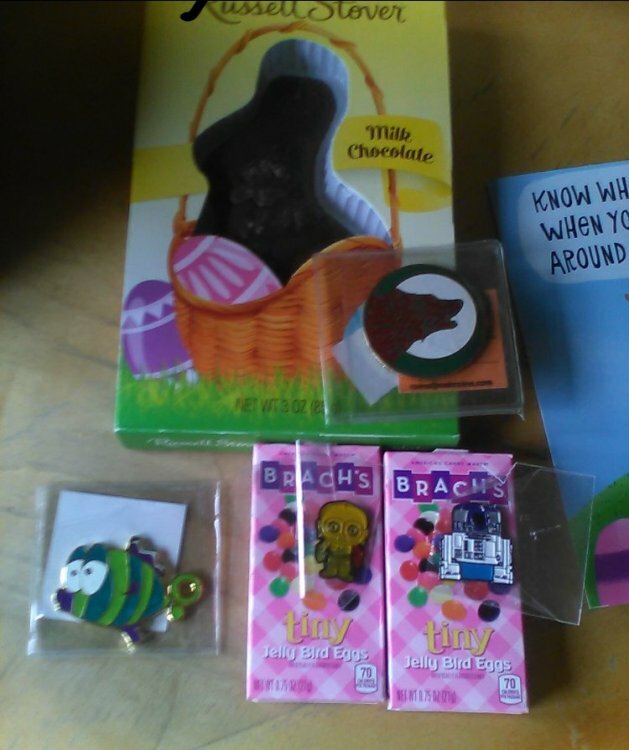 A card, cache stickers, a pathtag and 2 very cool coins were in my package. Great coins and I don't have either one of them. 😍 Thanks so much Oilbear125 for this great mission! Have I made something wrong since my name is on the list of people who haven’t sent there missions? Sorry, I wrote ¨sent¨ instead of ¨received¨ Correction made. Just wanted to see if someone was watching Thanks Vilgot_Puffin! Thank you very much, FeMaSa! I will post picture as soon as possible! Finally got my Mission on it's way!!! 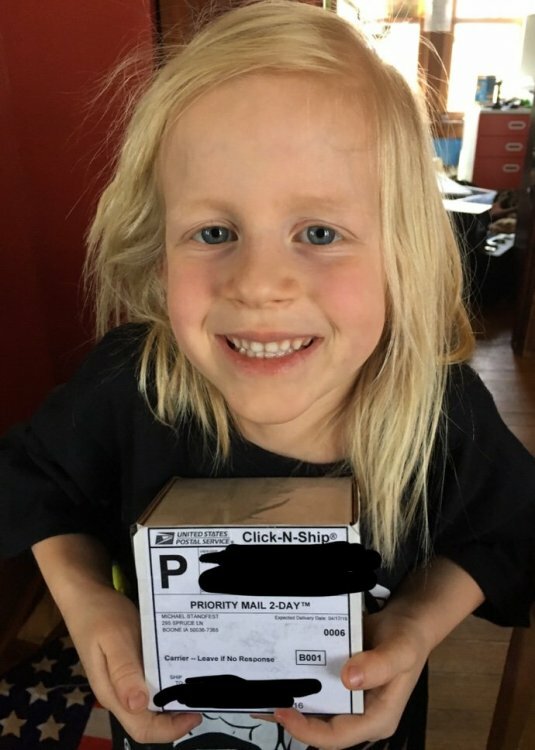 I’m so glad to hear that both gifts have arrived! Looks like both of my missions have arrived at their destinations and I have received both of mine. Thanks Claire for hosting again! My gift arrived at destination: 4/12/19 - well, almost... USPS tracking shows delivery attempted twice but no one there to accept. Hopefully they will be able to pick it up this week! At least I know it's in the right country! This mission is for my daughter (Caching Name is Sissy) who just turned 6 on April 14. This is my 14yo son’﻿s mis﻿sion﻿. W0nxm’s Sissy has not received her mission. That was a picture of her outbound mission. Thank you very much liveanimals (Matt and family) for the beautiful coin/trackable, the nice card and lots of Easter candy! Claire: Thank you for hosting this Easter Mission. Looking forward for the following one. Wish everybody a nice Easter. For me it is my working weekend but I'm sure I will also enjoy it. I received a gift﻿:﻿﻿﻿﻿ not yet :,( but I’m sure it is coming “soon”?! Will you be having postal delivery until Saturday? Yes, we have normal delivery including Saturday.